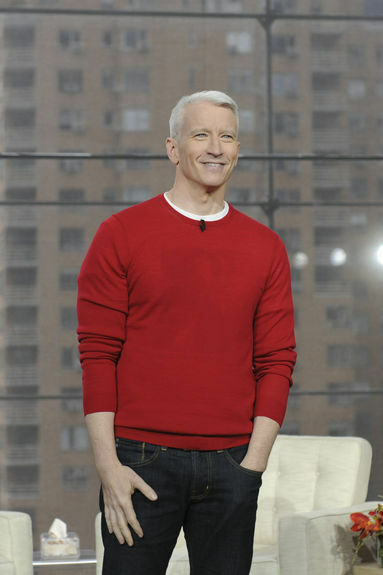 Every time I look at that picture of Anderson is his red sweater all I can think is how much he enjoys the limelight and how good he thinks he looks. He doesn't look interested in too much more than that. Locally, Anderson is on at 9 AM (CST) opposite Live with Kelly and the last part of the Today Show. I don't know how well he's doing here but the articles ATA posted indicate he's not doing as well as the talk show powerhouses. 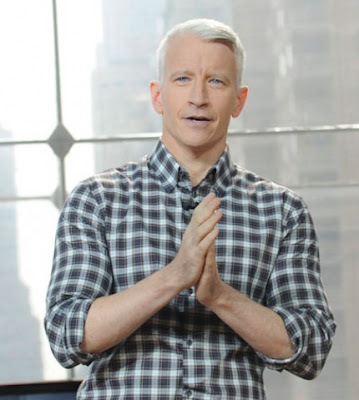 Maybe "Anderson" just needs to get a good footing or foundation and grow from there. As I stated before, I wish Anderson all the success in the world. But sometimes you have to know when you've taken on too much. Yes, he does enjoy the limelite and if he keeps going the way he is going, there will be no light at all. What does Anderson really have to offer? Dr's Phil and OZ have their medical insite and wisdom and Ellen has her humor. Anderson is a journalist or at least was and isn't amusing. He's rich and handsome but there are many men who are rich and handsome and they're not show host material. He is way out of his league and someone should pull him aside and tell him the truth. It is obvious the people around him are just telling him what he wants to hear, not what he SHOULD HEAR. Personally I'm surprised there are one million people who watch his show and half of them aren't listening.